Novorosinform reports this: President of Ukraine Petro Poroshenko ordered to prepare “evidence” of shelling from the Donbass and Russian side for an accusation against Moscow during his speech at the Munich Security Conference. This was announced by the head of the press service of the People’s Police of the DPR, Daniel Bezsonov. “According to the information we have, Poroshenko ordered the command of the occupying forces to prepare for him a false evidence base, which he could use to initiate new sanctions against the Russian Federation during his speech at the Munich Security Conference. As conceived by puppeteers from Washington, Poroshenko should appear before the world community in the form of an “innocent lamb,” he said. “We express our sincere hope that the leadership of the OSCE will not go in the wake of Poroshenko and his owners, but will strictly follow the unshakable European principles and impartially fulfill their functional duties,” the head of the press service of the DPR army added. Recall that as a result of today’s shelling by the Armed Forces of Ukraine against the DPR, three houses, a gas pipeline and a car are damaged. Yesterday in Donbass, two Right Sector and Azov platoons arrived. Ukrainian soldiers captured by the Donetsk People’s Republic (DPR) said in statements on Wednesday that Kiev might launch an offensive against Donbass during the upcoming 2018 World Cup held in Russia. According to reports, two captured Ukrainian soldiers, Vasily Zhimilinsky and Vitaly Chmil explained the circumstances in which they were captured and answered questions from reporters. The two soldiers confirmed that they were not pressured by the Donetsk side. Chmil confirmed suspicions that Ukrainian forces are readying for an offensive against Donbass defense forces. The two captured soldiers confirmed the presence of artillery systems at the Ukrainian army’s frontline positions. One of the captured soldiers was declared a deserter by the high command of the Ukrainian military, although both soldiers were captured on the battlefield, but at different times and in different sectors on the contact line. The conflict in Donbas began in 2014 when Ukrainian authorities launched a military operation against the self-proclaimed People’s Republics of Donetsk and Lugansk, who refused to recognize the new government in Kiev which came to power after a US-backed coup. The official Minsk Agreements have done little to prevent constant Ukrainian forays and bombardments. The Donbass republics have persistently accused Ukraine of provocations and violating the Minsk Agreements, whereas Kiev habitually claims that the Donbass militias and “Russian occupation forces” alleged to be in the area are shooting at themselves and blaming Ukraine. Current U.S. ambassador to Ukraine is Marie Yovanovitch. U.S. Defense Attaché is Colonel Thomas Wofford. American Defense Advisor will visit the front line in Donbass. “In the coming days, we do not exclude situation on the line of contact getting worse, in connection with the arrival of a foreign commission headed by the Defense Attaché at the US Embassy in Ukraine,” the lieutenant colonel said. According to him, the foreigners plan to visit the settlement of Svetlodorsk in the period from February 7-8. “The work of a military delegation from the United States can be connected with testing the readiness of units of mechanized brigade 54 of the Armed Forces to carry out offensive operations. It is during this period that we expect provocations from Ukrainian forces in the area of the Svetlodarskaya arc,” the representative of the Defense Ministry stressed. “In addition, in the vicinity of the settlement Mironovsky, we note the arrival of a group of foreign officer-instructors. According to preliminary information, the mercenaries arrived from Canada for special tasks on the contact line,” Andrei Marochko added. 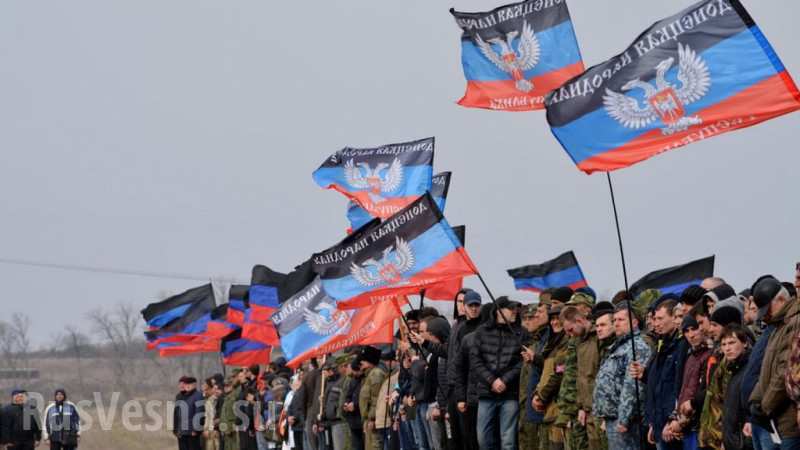 Recall, according to the Ministry of Defense of the Donetsk People’s Republic, Ukrainian troops in the interval between March and June intend to begin a full-scale war in the Donbass. Yesterday presidential candidate and Yabloko party leader Yavlinsky said that Russia should give up supporting the Donbass. Recall that Ivan Vynnyk, the deputy of the Verkhovna Rada of the Bloc of Peter Poroshenko and secretary of the Committee on National Security and Defense, believes that after the adoption of the bill on the reintegration of Donbass Ukraine legally can cleanse the DNR and LNR. Andrei Biletsky, MP, and leader of the Nazi “National Corps” *, the founder of the regiment “Azov” * MP Rada, in turn, said that the leadership of Ukraine should decide to give the order on the approach of the Armed Forces in the Donbass. And in parallel, Kiev must start a war of sabotage within the Russian Federation. 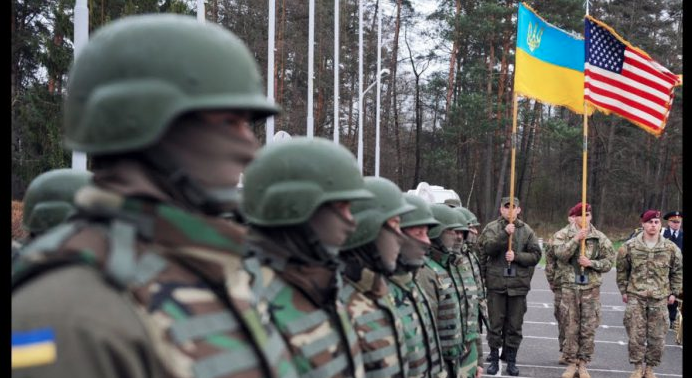 The Ukrainian Armed Forces are preparing a ‘blitzkrieg’ to seize the territories of the Donbass between March and June – as announced today by the operational command of DPR, Eduard Basurin, referring to intelligence data. “The plan provides for military units with the support of artillery to overcome the security zone and break through the first defensive line within DPR and LPR, to take control of advantageous positions.” – he noted. Kiev will inflict the main damage to the north and south of Donetsk. “Strikes will be coordinated in the direction of Verkhnetortsekoye, Ilovaysk and towards Maximov, Starobeshevo, Ilovaysk. They will try to overcome the line of combat and break through the first defensive position. Then, having increased their power with the introduction of reserves, they will attempt to cut into Donetsk divisions, to encircle and seize Donetsk.” – said Basurin. The ultimate goal is to reach Novoazovsk and seize the coast of the Azov Sea. The invasion of the LPR is planned from the direction of Lutugino. According to Basurin, the data from aerial reconnaissance, equipment at the front line, as well as the active replenishment of fuel and ammunition supplies also testifies to Kiev’s plans. “I note that the blitzkrieg will not bring the expected result to the Ukrainian side, and in case of armed aggression against the People’s Republics, the enemy will be irreversibly subdued.” – Busurin summed it up. Blue waves – positions of the Ukrainian army, including numbers of tanks, artillery etc. Red dots – DPR/LPR defense. 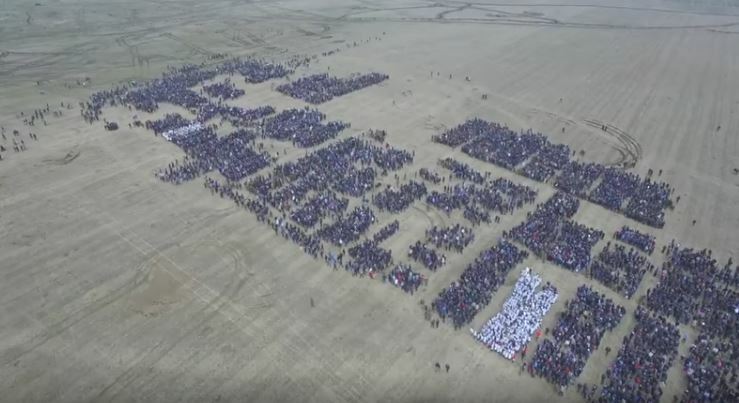 The official YouTube channel of Alexander Zakharchenko, leader of the Donetsk Republic, has published momentous footage of the gathering of 30,000 men in the DNR forces reserve, which took place on 6th April 2017. 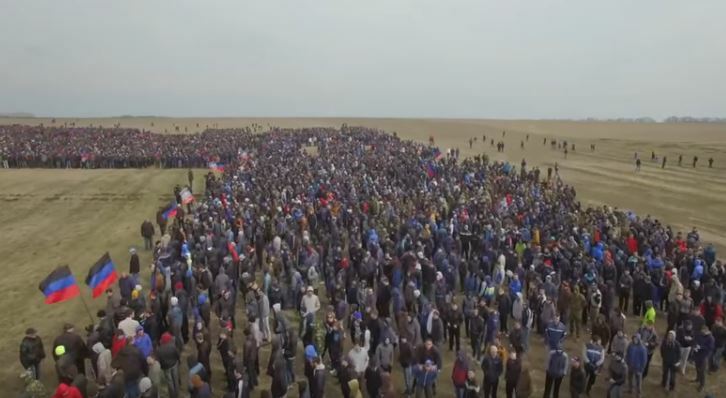 The soundtrack to the video is a Soviet song from the time of the Second World War, “Rise up, huge country!” The choice of the song echoes the symbolism of the struggle of the DNR against a neo-fascist Ukraine. 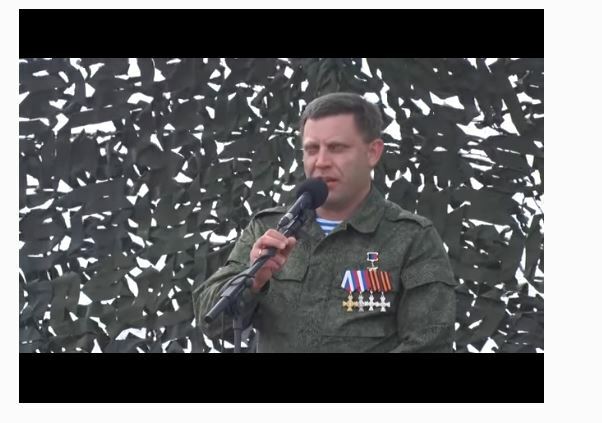 In the video, Zakharchenko called on the reserves to stand up against the Kiev regime. “For the third year in a row, there is war in our country. For the third year, the enemy is a attempting to eradicate us, our children and our parents. Everyday, Ukrainian media attempts to prove why they need to kill us. 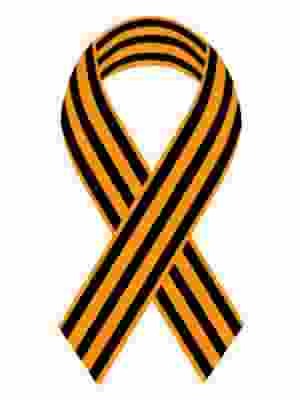 I am proud that I was born in the Donbass and I am proud of you. Together we will win – the enemy will be destroyed.” – said Zakharchenko. 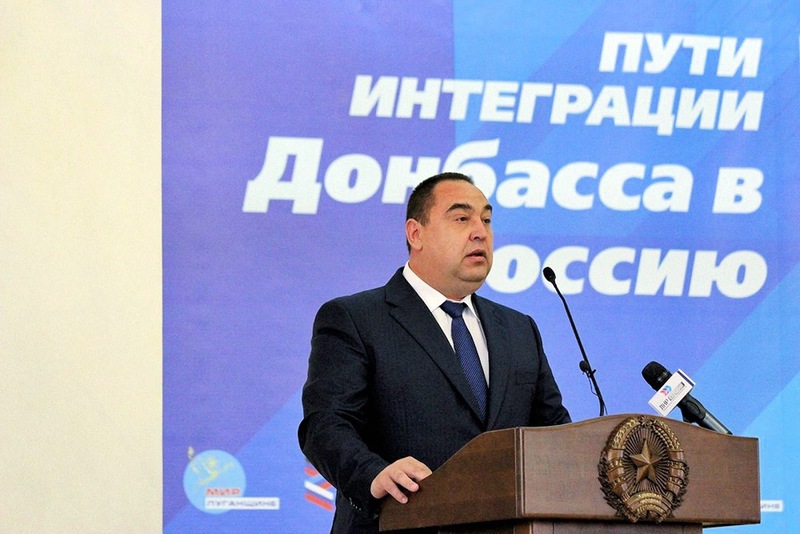 The head of the Lugansk People’s Republic, Igor Plotnitsky, has spoken out in favor of holding a referendum in the DPR and LPR on joining Russia. “We do not merely assume, but we are confident that there will necessarily be such a referendum. Of course, we want to initiate it, but there is a time for everything. In fact, in the very beginning there was the question of immediately following the Crimea scenario so that we could become part of the Russian Federation, but things turned out a little differently. But this question has never been withdrawn,” Plotnitsky said yesterday in response to a question on whether the Donbass republics will hold a referendum on reunification with Russia as happened in Crimea. Plotnitsky also stated that the leadership of the DPR and LPR considers Kiev’s decision to blockade Donbass a de facto recognition of the republics’ independence. “You only declare a blockade against those whom you recognize,” Plotnitsky remarked. Dmitry Peskov, the press secretary of Russian President Vladimir Putin, said that Moscow has no written scripts on the possibility of incorporating the DPR and LPR into Russia. 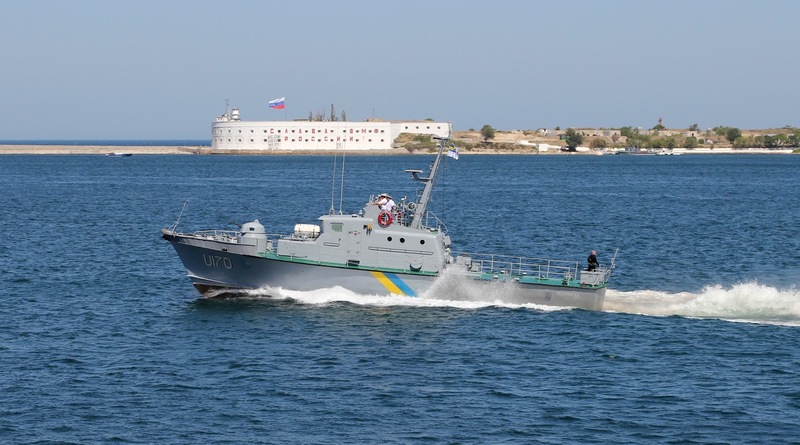 Ukrainian security forces tried to attack the Donetsk People’s Republic from positions on the coast of the Azov Sea from two army combat boats. This was reported today by the deputy commander of operations of the DPR, Eduard Basurin. “Yesterday, on the orders of the commander of nautical center 73 of special operations of the Ukrainian Navy, 1st Captain Eduard Shevchenko, two combat boats entered the territorial waters of the DPR in the area of the village of Bezymemnoye for reconnaissance and provocation, by opening of fire on our positions. We had to return fire with small arms and anti-tank, resulting in one of the boats being seriously damaged and was towed today “, said the deputy commander. According to him, after an unsuccessful attack, the enemy saw two killed and three wounded. “The lamentable result of the hasty action of the UAF command again resulted in the senseless loss of life of Ukrainian servicemen”, concluded Eduard Basurin.